Let's start off with the non educational goodies-the beauty goodies! Soap and Glory's Hand Food Hand Cream- the stuff is the BEST hand cream you'll ever use and it smells AMAZING!! B&BW's Malibu Heat Body Lotion- a new favorite for summer! B&BW Candle in Pink Sangria- LOVE this scent!! Now let's get into the educational goodies! 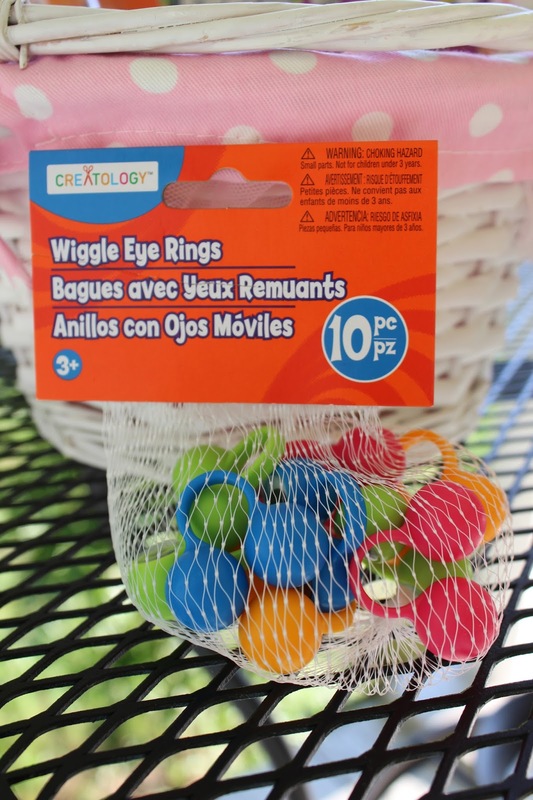 Wiggle Eye Rings- Perfect to use as pointers for small group reading. I told my kids these little creatures loved to look at words while they read, so they worked extra hard to keep their finger on the words as they read. These little guys were a huge hit in my classroom! Scented notepads-need I say more?? Let's first talk about the Elephant and Piggie series by Mo Willems. I absolutely LOVE this series and one of the things I'm going to miss about 1st grade the most is this fantastic collection of books. Year after year, my kids fall in love with these two funny characters. They are perfect for reader's theater. My ONLY problem with them is that the majority of these books are not AR. A few are, so I was always on the hunt for them. I found this one (which is AR!) about a week before I decided to request to move to 5th. The other two books are also AR and are perfect for beginning independent readers. I use to be a snob about the Biscuit books and the branch off Pinkalicious series, but I now have a new found love for them and they worked extremely well in my 1st grade classroom later in the year during AR time. Two winners will win a mixture of my favorite things, while two 2nd place winners will receive one item from my TpT store. Great giveaway! Love the look of your new blog! I've really been wanting to try that hand cream you always talk about!! !